If you’re involved in building software, there’s a pretty good chance you use GitHub, the social repository for software code known for the surprise round of funding it took from Andreessen Horowitz last year. Here’s something new going up on GitHub: Starting today, the latest version of documents from Series Seed, a basic set of documents for companies working with early-stage investments, will be up on GitHub, too. No, it’s not software code, but the fact is, said Ted Wang, the Fenwick and West lawyer behind Series Seed, it’s pretty much the first place that companies look when they evaluate people they want to hire. 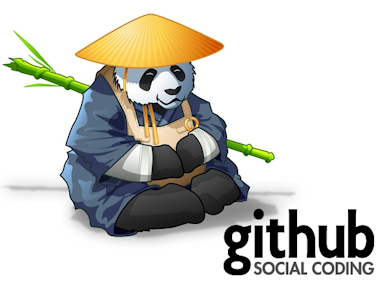 “When my clients are evaluating people, they look at GitHub. It’s sort of replacing the resume,” Wang told me. Wang, of course, is the well-known lawyer who has guided companies like Twitter, Facebook, and has advised companies that were acquired by Google, Zynga, eBay and others from their earliest days. Wang created the Series Seed documents in 2010, and since then several major venture capital funds, including Andreessen Horowitz, Kleiner Perkins and Sequoia Capital, among others, have agreed to use them as the basis of their own seed-stage investments. As the costs to start a company have come down, it no longer made sense to have more than 100 pages of legal documents to sign and review. Now the documents themselves will be available on GitHub with all that implies. Discussion about changes and tweaks will move to GitHub and off private email chains and comments on the Series Seed blog. But it also means that other people can take the basic version of Series Seed documents, change the bits they don’t like and upload their own.